Engaging in regular exercise is one of the best things you can do for your overall health, well-being, and longevity. Exercise helps to keep your cardiovascular system healthy, to improve your cognitive function, your mood, and your sleep, and to help you remain healthy and hale well into your old age. How Does Exercise Make You Healthy? Exercise increases the size and strength of your muscle fibers. Exercise increases the strength of your ligaments and tendons. Exercise increases the number and density of the capillaries that supply blood to your skeletal muscles. Exercise increases the number and the size of the mitochondria (the power plants) in your muscle tissue, which allows your muscle to burn more energy. People who exercise regularly have a much lower chance of developing serious heart disease and vascular disease. Exercise improves your overall cardiac function, so that you can pump more blood with each heart beat. Exercise reduces your blood pressure, especially if you have essential hypertension. Exercise improves your overall vascular function. Exercise helps to prevent atherosclerosis, the disease that causes heart attacks, and many kinds of stroke. Exercise improves your lung capacity. Exercise increases the blood flow to your lungs, allowing the lungs to deliver more oxygen into the blood. Exercise increases your muscles' ability to burn fat more efficiently. Exercise reduces your triglyceride blood levels. Exercise increases your HDL cholesterol (good cholesterol). Exercise reduces insulin resistance. Regular exercise helps to prevent type 2 diabetes in people who are at increased risk for this disease. Exercise improves your immune function, which reduces your chance of infections. Exercise appears to reduce your chances of getting breast cancer, pancreatic cancer, and certain other gastrointestinal cancers. Exercise helps to prevent gallstones. 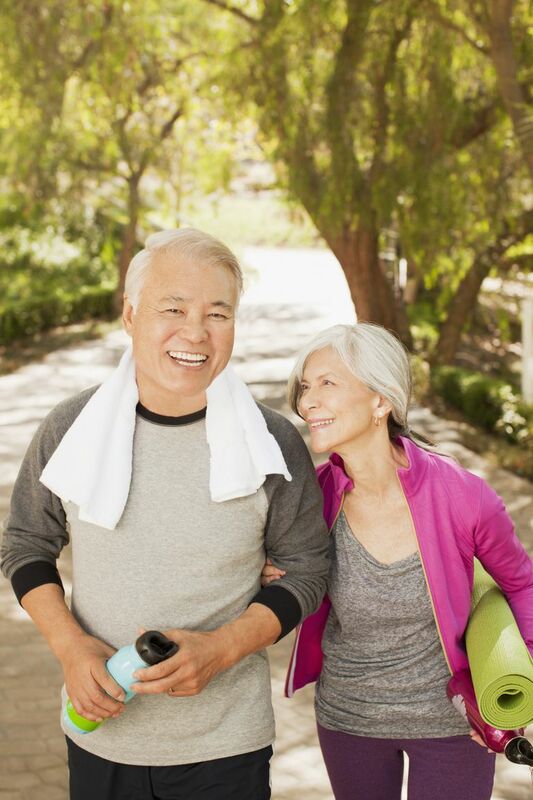 Exercise helps to prevent the physical and cognitive declines of aging. Exercise reduces your risk of Alzheimer disease. Exercise helps with smoking cessation. Exercise plays an important role in preventing and treating obesity. Exercise improves cognitive function in people of all ages. In older people, regular exercise is associated with a reduced risk of falls. Given all the physiologic benefits it produces, it is easy to see how regular exercise can help to prevent cardiovascular disease. Regular exercise is one of the most beneficial habits you can develop for your overall health, well-being, and longevity. Dumith SC, Hallal PC, Reis RS, Kohl HW 3rd. Worldwide Prevalence Of Physical Inactivity And Its Association With Human Development Index In 76 Countries. Prev Med 2011; 53:24. Kodama S, Saito K, Tanaka S, et al. Cardiorespiratory Fitness As A Quantitative Predictor Of All-Cause Mortality And Cardiovascular Events In Healthy Men And Women: A Meta-Analysis. JAMA 2009; 301:2024. Proper KI, Singh AS, van Mechelen W, Chinapaw MJ. Sedentary Behaviors And Health Outcomes Among Adults: A Systematic Review Of Prospective Studies. Am J Prev Med 2011; 40:174. Piercy KL, Troiano RP, Ballard RM, et al. The Physical Activity Guidelines for Americans. JAMA 2018; 320:2020. What Are the Heart-Healthy Benefits of Monounsaturated Fats? How Long Should You Exercise to Increase HDL Cholesterol Levels? How Much Exercise Is Necessary for a Healthy Heart?